U.S. President Donald Trump stands with FEMA Administrator Brock Long (L) and U.S. GOP Rep. Ron DeSantis of Florida as he talks to Florida Gov. 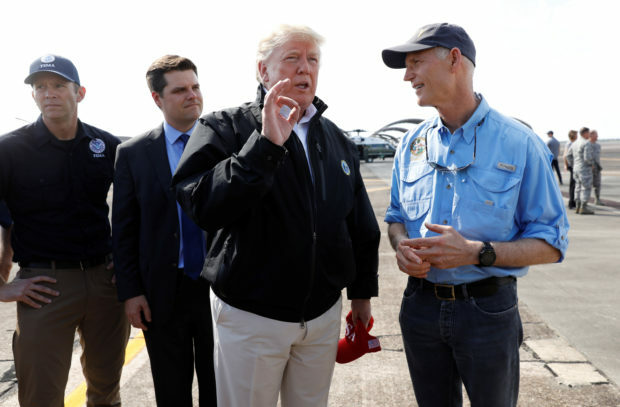 Rick Scott, a Republican, after the president arrived to tour storm damage from Hurricane Michael at Eglin Air Force Base, Florida, U.S., Oct. 15, 2018. REUTERS/Kevin Lamarque.